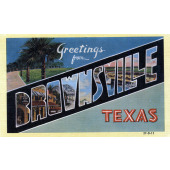 Brownsville, Texas is home to 2,310 registered nurses (RNs), 1,480 certified nursing assistants (CNAs), and 1,140 licensed vocational nurses (LVNs). These professionals earn some of the most competitive salaries for nurses in Cameron County. Brownsville-based RNs earn a median annual salary of $65,580, LVNs earn $46,200 per year, and CNAs earn $19,010 annually. To become an RN, you will need a hospital diploma, associate’s degree in nursing (ADN), bachelor of science in nursing (BSN), or master of science in nursing (MSN). Many high-level positions require a BSN or MSN degree. LVNs must study for one to two years to earn a certificate or associate’s degree in vocational nursing, while CNAs must complete a brief accredited training program of several weeks to a few months in length. With the right education and training, aspiring nurses are well prepared for the demands of these challenging positions. On a typical day, RNs will treat patients, perform diagnostic tests, establish care plans, and provide emotional support to families. LVNs do everything from measuring and recording vital signs to teaching family members how to care for patients. CNAs help patients with routine tasks such as cleaning, bathing, and eating, and some might administer medication. Skilled nursing professionals are in high demand at Brownsville’s hospitals and health centers. The city’s well-regarded healthcare employers include Valley Regional Medical Center, Driscoll Children’s Hospital, Valley Baptist Medical Center, and South Texas Rehabilitation Hospital. If you’re ready to begin a career in nursing, please consult our list below of the top nursing schools and programs in Brownsville, Texas.